William Orbit (born William Mark Wainwright, 15 December 1956) is an English musician, composer and record producer. In the early 1980s he formed synthpop act Torch Song with Laurie Mayer and Grant Gilbert. In 1987 he released the first of his Strange Cargo album series, containing ambient music. Towards the end of the 1990s Orbit started to work with bigger name artists, producing songs on Ray of Light and Music by Madonna, 13 and Think Tank by Blur and Saints and Sinners by All Saints. His work with Madonna led him to win three Grammys. He worked again with Madonna on her 2012 album MDNA producing six songs. 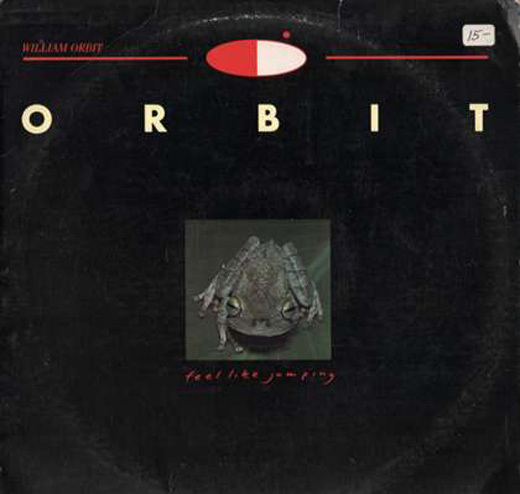 Orbit was the first album by William Orbit released in 1987, prior to the first Strange Cargo album released the same year. While all of his later solo albums are predominantly instrumental, this album consists mostly of songs with lyrics, with vocals performed by Peta Nikolich. William has described the Orbit album as ‘far from his best’ and has suggested that listeners save their money for something else unless they are collecto-maniacs. Orbit has been deleted since the mid Eighties but was re-released without his permission in digital form by IRS Records. The first single from the Orbit album was “Feel Like Jumping” which was backed with an extended edit of album track “Blue Street” for the UK 12″.